Dr. Snehalatha has completed her Phd in extention education ( Rural Development) from the Acharya NG Ranga Agricultural University, Hyderabad, India in 1999 she has 20 years of experience as a development professional and held senior positions in national and international organizations including 12 years of association with Government programmes. She has extensive experience in policy advocacy, Planning Monitoring and Evaluation (PME) frameworks , strategic role in implementation of rural development projects, design and implementation of capacity building programmes targeting development practitioners, Research publications to inform policy practice gap are the key areas of her expertise . By virtue of serving on the Board of different development organizations, she had good exposure to managing the CSO entity. Water, Sanitation and Hygiene is an important area of her expertise gained through the positions held by her as South Asia Regional Coordinator of FANSA, South Asia Advisor for SPLASH, National Research Coordinator for Community Water Plus Project, Country Coordinator for WASH Cost project of IRC, The Netherlands. Given her vast experience in WASH She has been nominated as a Member of the National working group constituted by MDDWS, Government of India to input into the 12thFive Year Plan. She undertook several studies focusing on water quality and sustainable sanitation related studies in both urban and rural context. 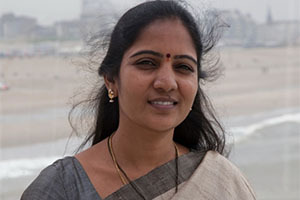 During 1999 to 2003 she worked for State Government of Andhra Pradesh as district capacity building member and state project manager and gained experience in planning and implementation of participatory watershed development projects and particularly contributed in the areas of poverty assessment, community empowerment processes and community mobilization for sustainable water resources management practices in watershed development projects. She has also served as consultant for various National and International research projects mainly in the areas of WASH, poverty reduction and sustainable natural resources management and IWRM. Integrating processes aimed at people’s participation and community leadership, gender and social equity and sustainability of the development have been the consistent areas of her focus in pursuing her professional career. She has authored more than 20 journal papers, 50 reports along with other researchers as part of her long career across various themes. In addition to her role as Executive Director of SaciWATER’s she is also actively contributing as Honorary Regional Advisor of SPLASH, an international charity working for School WASH, Member of APARD and Sedhyam NGOs working for agriculture and rural development, and Secretary of NISCHINTA Foundation working for the cause of elderly. Safa Fanaian holds a master’s degree in Water Management from UNESCO-IHE, Institute for Water Education, The Netherlands and a MSc. in Ecology and Environmental Science from Pondicherry University. In the field of water management,she has worked extensively on issues such as transparency, accountability and participation within the Water, Sanitation and Hygiene (WASH) sector, ecosystem based economic assessments of water systems, participatory irrigation management, and watershed monitoring and assessment. She also has experience in coordinating networks and bringing together organizations in research and consultation on issues such as governance, gender equality, rethinking economics and science, religion and development. Throughout, she has lead multidisciplinary and multicultural teams in research, assisted in developing methodologies, data analysis, and conducted trainings, communications and capacity building. She is currently coordinating the Arsenic Knowledge and Action Network project at SaciWATERs. Sreenita holds PhD degree in Regional Development from the Centre for the Study of Regional Development, Jawaharlal Nehru University, New Delhi. 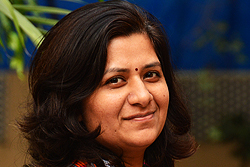 Before joining SaciWATERs, she worked as an Assistant Professor of Geography at Raniganj Girls’ College affiliated to Kazi Nazrul University, West Bengal. She has also worked with Centre de Science Humaines (CSH), New Delhi and has assisted on research project entitled ‘India Milk’. 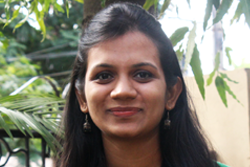 She is trained in GIS softwares like- Arc GIS, Erdas Imagine and statistical softwares like- SPSS, EXCEL, etc. Her specific research interest lies in areas of rural development, dispossession and displacement, livelihoods, labour, gender and agriculture using both quantitative and qualitative research methodologies. 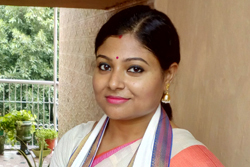 At SaciWATERs, she is presently working in the project entitled “Understanding Women’s Role in Agriculture in the Eastern Gangetic Plains: The Macro and Micro Connections”. Shreya holds a master’s degree in Geography with a semester specialisation in Physical geography and an M.Phil degree in Regional Development from the Centre for the Study of Regional Development, Jawaharlal Nehru University. She has been a CSIR Senior Research Fellow at the University. 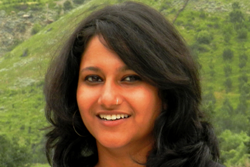 Currently continuing her PhD from Jawaharlal Nehru University on Groundwater socioecology in Gujarat, Shreya has been associated with research on water resources since her postgraduate studies in Geography having worked on papers on varied water-related issues, both scientific and socioeconomic. She has worked on consultancy projects on natural resource management with Deutsche Gesellschaft für Internationale Zusammenarbeit (GIZ) GmbH and has assisted on research projects on climate change, and urban water security. Her specific research interest lies in integrating the science and the socioeconomics and politics of water resources at levels of theory, methodology and policy. Suchita Jain completed her M. Tech. in Applied Geology from Dr. H. S. Gour University, Sagar (Madhya Pradesh). She is having more than 8 years research experience in the field of Hydrology, Remote Sensing and Geographic Information System. 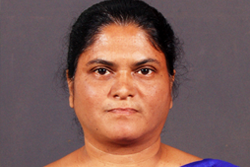 In past, she has worked as a Researcher at Space Applications Centre, ISRO, Ahmedabad, where she was engaged with the Coastal Vulnerability Mapping project along for the parts of Indian Coast. She was also associated with SOPPECOM, Pune for more than six years and has been involved in RS/GIS and hydrological aspects of the major studies done by SOPPECOM like post facto study of watershed development programs in Maharashtra, Characterization of wastelands for parts of Maharashtra, Multilayer Planning and Management of Water Resources in Bharar River Sub basin, Chattarpur District, Madhya Pradesh, and LiveDiverse- Sustainable Livelihoods and Biodiversity in Developing Countries. At SaciWATERs she is presently involved with the second phase of Brahmaputra Dialogue Project. Monica holds a Master’s degree in Urban Development and Management, from TERI University, New Delhi, and a Bachelor’s degree in Facilities and Services Planning from Jawaharlal Nehru Architecture and Fine Arts University- School of Planning and Architecture, Hyderabad. As a part of her Master’s thesis she did a Comparative Study of Urban water Supply in Regularised and Unauthorised colonies of Delhi, to understand the impingement on the resources of the service provider. During her course of study she was associated with the South Delhi Municipal Corporation, Delhi and Centre for Economic and Social Studies, Hyderabad. She is currently involved in the CoCooN Project- Conflict and Cooperation over Natural Resources in Developing Countries focussing on peri urban water security. Anshika holds a Master’s Degree in Public Policy and a Bachelor’s Degree in Economics from St.Xavier’s College (Autonomous), Mumbai. For her Master’s thesis she studied Kerala’s Gender Responsive Budgeting practices for the year 2016-2017. As a part of this thesis, she also studied the status of women in Kerala and its claim to gender empowerment, including some of its state run programmes for women such as Kudumbashrees. 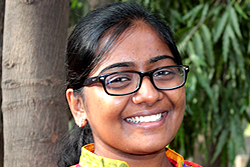 She is currently involved as a Research Associate in the project ‘Ensuring Water Security in Metropolitan Hyderabad: A study of Hydrological settings and Informal Institutional dynamics’ at SaciWATERs. Daniel holds a Master's degree in Integrated Water Resources Manangement, from Centre for Water Resources, Anna University- Chennai and a Bachelor's degree in Civil Engineering. 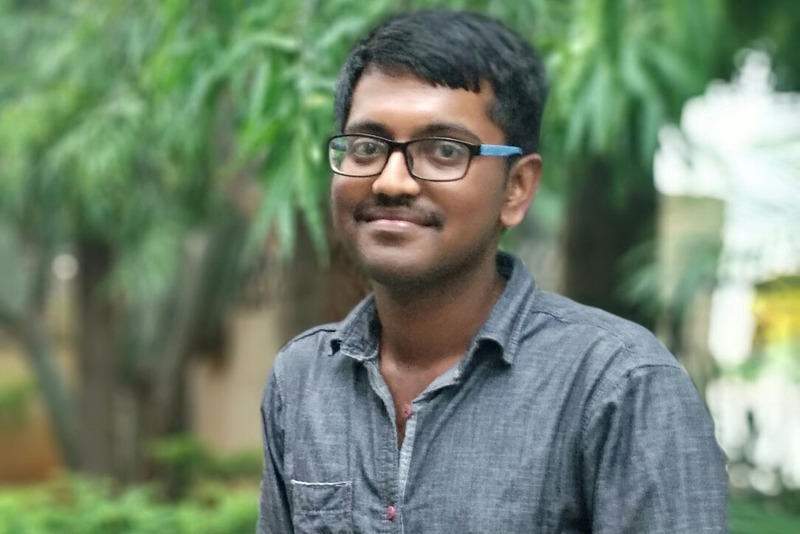 As a part of his Master's thesis, he did a study on the dam-break analysis and flood inundation mapping of Vidur Dam, Tamilnadu and preparation of Emergency Action Plan. 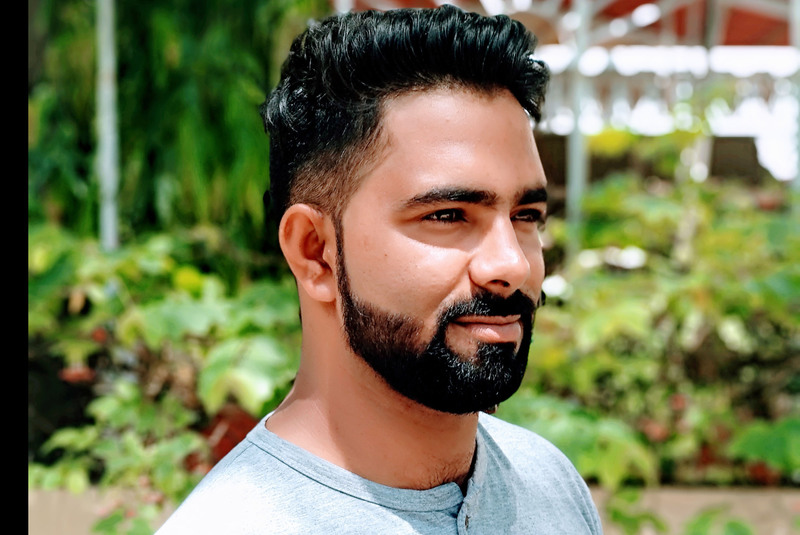 At SaciWATERs, he is presently working in the project entitled “Understanding Women’s Role in Agriculture in the Eastern Gangetic Plains: The Macro and Micro Connections”. Churamoni completed his Masters of Arts in Social Work with specialization in Public Health from Tata Institute of Social Sciences, Guwahati (2017). Before joining SaciWATERs, he worked as a Program Manager of Safe Water Centre for Healthy Assam (SWaCHA) which was promoted by Arsenic Knowledge and Action Network & Fluoride Knowledge and Action Network and supported by Arghym foundation to address the water quality challenges in Assam. As a part of his master degree dissertation he studied about fluorosis and children’s health to understand the vulnerability of children and the socio economic determinants of health. Currently, he is involved as a Research Associate in a project of European Union- Civil Society Voices, vulnerable communities and localised platforms to address the water quality which has been implemented in 4 districts of Assam and Bihar. 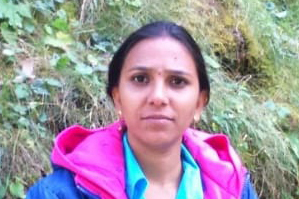 Shalini is an Architect Planner by profession. She has done her Masters in Urban and Regional Planning and Bachelors degree in Architecture from JNA&FAU, Hyderabad. Prior to Saciwaters she worked as an Architect and involved in urban level projects, and had a internship in Administrative Staff College of India (ASCI). Her masters dissertation was on “Urban Street management” in which she researched about the user behavior with an aim to facilitate the design and planning of safe, walkable and livable streets. At SaciWater’s, Shalini has joined as a IEC Officer for Citizens First Campaign on Accountability for Drinking water and Sanitation. 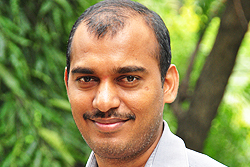 Jevala Sudheer Kumar completed his bachelor’s degree from Kakathiya University with sociology and post graduation from Osmania University with political science. He has 10 years of experience in different organizations - LV PRASAD EYE INSTITUTE VELUGU PROJECT, VISION SPRING ORGANIZATION AND RELISYS MEDICAL DEVICES LTD with community related works, admin experience, worked as district coordinator and trained in CLTS from NIRDPR. At present, he is the Project officer – Citizen’s First project of WaterAid in SaciWATERs. 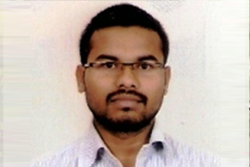 Saidulu Gade holds a Bachelors in Civil Engineering. 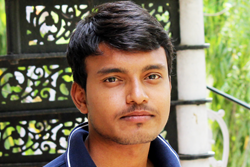 He has a short experience of working as Site Engineer in “Green Leaves Developers”. Prior to that he was a Faculty & Lab Assistant in Jagruti Institute of Engineering and Technology, Hyderabad. Presently, he will be working as Civil Engineer in the Water Aid funded project – TCCL and BOA. 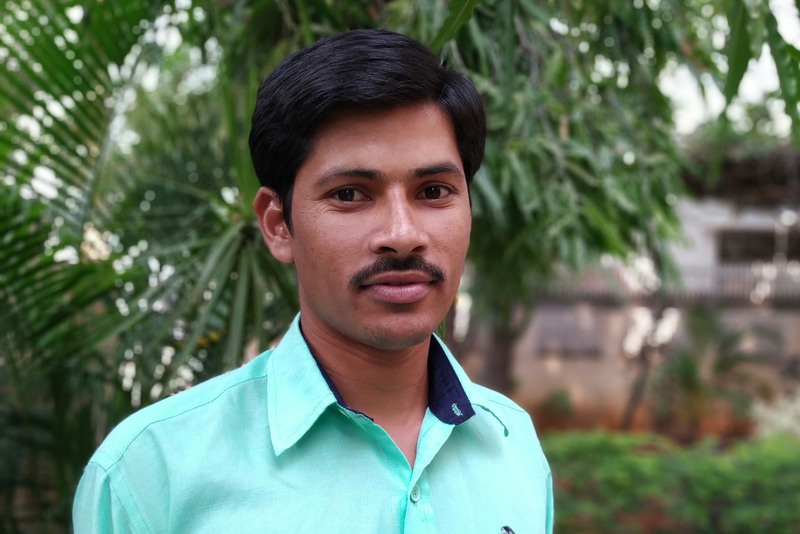 Sai Kiran is currently working as a field assistant for "Citizen First Water Supply and Sanitation Accountability" Project funded by Water Aid. He is responsible for all the field activities which includes collecting field data on violation points & encroachments of lakes within HMDA through GPS. His past experience includes working as a market supervisor for a private firm. Md. Munawar Chand is a Social Worker by profession. He has done his Intermediate(10+2) in 1994 and Join Politics, Now pursuing his B.A from open University Since 2010 he is in WASH sector previously worked with Chetana Society under the project Joint Action for Water of Water Aid. Then worked with Society for Participatory Development under the project Citizen First Project Under went 2 times Training of CLTS and attended Training at ASCI on Achieving Universal Urban Sanitation. Attended SACOSAN V in Katmandu, Nepal. Attended FANSA workshop at Solan on Water Quality. Went on Exposure to GRAMALAYA Toilet Park. At SaciWater’s Md. Munawar Chand has joined as Field Co-Ordinator from April, 2016 for Citizen s First Campaign on Accountability for Drinking water and Sanitation and TCCL project. Chedubavi Sreenivasulu holds an MBA degree in Finance and Accounts from the National Institute of Business Management, Chennai. He has more than seventeen years of financial and accounting experience in the NGO sector. 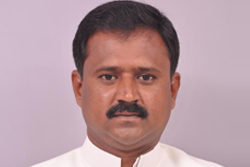 He has earlier worked in the 'Rural Development Trust', Anantapur, as an Accounts officer and Internal Auditor; in 'SARDS', Tangutur, as an Accounts Manager and as a Sr. Finance Officer at Centre for World Solidarity (CWS), Secunderabad. As Head - Finance & Admin in SaciWATERs, he is responsible for providing strategic leadership and oversight to the Finance, Accounts & Assurance functions for SaciWATERs. He is overall in charge for finance, Coordination with relevant authorises to ensure compliance with local laws and other statutory procedures, budgets, MIS and Donor financial reports, fund management and Cash flows for multi projects, Statutory compliances -IT, TDS, FCRA, Profession tax etc. for SaciWATERs. 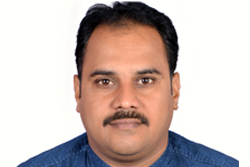 P.HariBabuholds an M.Com degree from Sri Krishnadeveraya University, Anantapur, Andhra Pradeshand has over nine years of experience in Finance and Accounting in NGO sector. 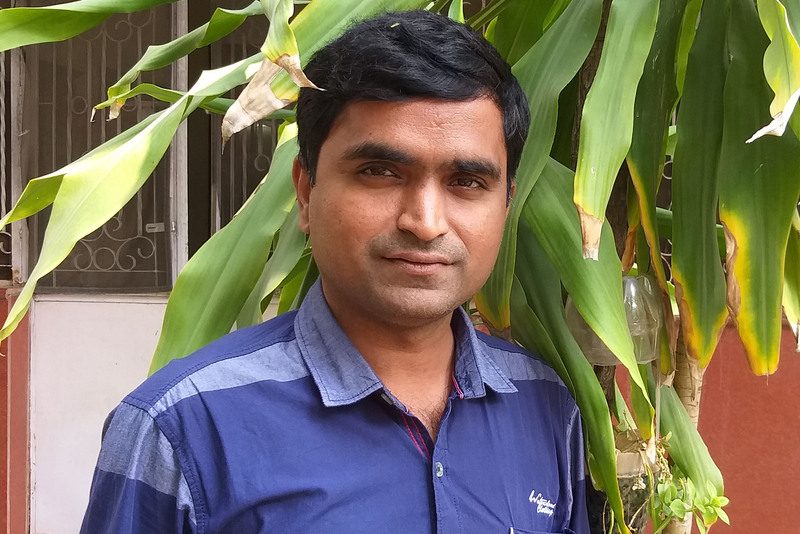 He has earlier worked in the Rural Development Trust (R.D.T), Anantapur, as an Accountant; in Forum for Integrated Development (Chetna-OCIP), Hyderabad, as an Accountant. He has. As an Accounts Officer at SaciWATERs and is responsible for maintaining accounts, budget reports, fund flows, compliances, etc. Sk. Khaleel Pasha holds B.Com from Osmania University, Hyd,. He has earlier worked as Office Assistant since 2012 and promoted as a Accounts Assistance and responsible for day to day payments, Bank work, data entry work, assist to finance officer for maintaining books of accounts in a systematic manner. Judith Christiana holds a PG Diploma in Management (Human Resources) from Indira Gandhi National Open University, Delhi. She has 20+ years of experience in the administrative field. Has last worked for 12 years with the International Water Management Institute, ICRISAT, Patancheru as Senior Administrative Officer. As HR Head, she would be responsible for providing support in the various human resource functions, which include recruitment, staffing, training and development and performance monitoring, apart from a wide range of administrative support to researchers and staff. 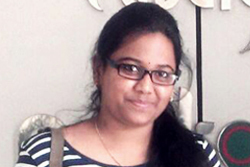 Sushma Rani Tappita has done Masters in Human Resource Management (MHRM) from Andhra University and Bachelor of Science (BSC) in Mathematics, Statistics and Computer Science from AV Degree College, Hyderabad. 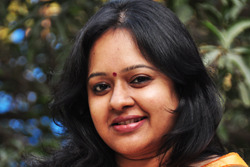 She is having four years of experience in HR and Admin support Operations for an MNC. She also worked for development organisations as Freelance Consultant in Data Management i.e., Compilation, Analysis, Verification, Validation of Web based MIS etc. 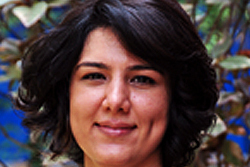 She is working with SaciWaters since 4th September as Admin Assistant and providing Admin support to the organization. 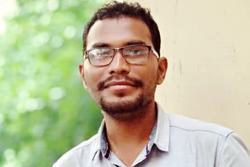 Raghu is a Office Assistant who had joined SaciWATERs in 2017. 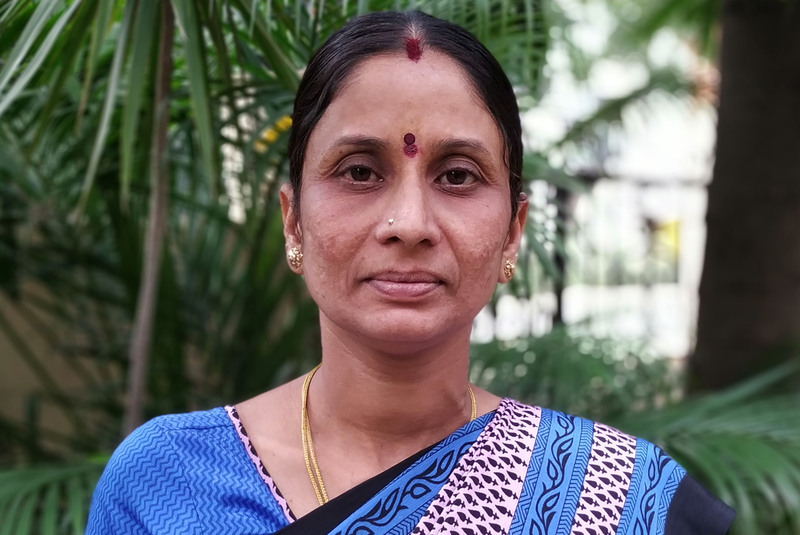 Anuradha is SaciWATERs support staff since 2017 and helps in maintaining the office clean and tidy. Security Staff joined SaciWATERs during 2010. 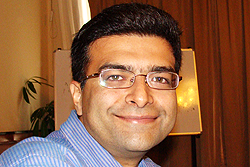 Dr. Vishal Narain is Associate Professor, Public Policy and Governance at MDI, Management Development Institute, Gurgaon. He holds a PhD from Wageningen University, the Netherlands. His teaching and research interests are in the inter-disciplinary analyses of public policy processes and institutions, water governance, vulnerability and adaptation to environmental change and periurban issues. His research has been published in several international peer-reviewed journals like Water Policy, Water International, Environment and Urbanization, Local Environment: the International Journal of Justice and Sustainability and Mountain research and Development. He has recently co-edited ‘Globalization of Water Governance in South Asia (Routledge)’. 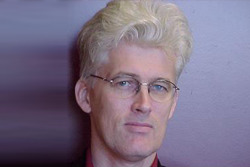 He is currently co-editing ‘Water Security in periurban South Asia: adapting to climate change and urbanization (Oxford University Press)’ and ‘Indian Water Policy at the Cross-Roads: Resources, Technology and Reforms (Springer, the Netherlands).’ In the past, he was the Editor of the journal Resources, Energy and Development (2004-06). He was lead author for a chapter on human vulnerability to environmental change for GEO- (Global Environment outlook)- 4, the flagship publication of UNEP, the United Nations Environment Programme. He received the SR Sen Prize for the Best Book on Agricultural Economics and Rural Development conferred by the Indian Society of Agricultural Economics (2002-03) for his book ‘Institutions, technology and water control: water users’ associations and irrigation management reform in two large-scale systems in India (Orient Longman, 2003). 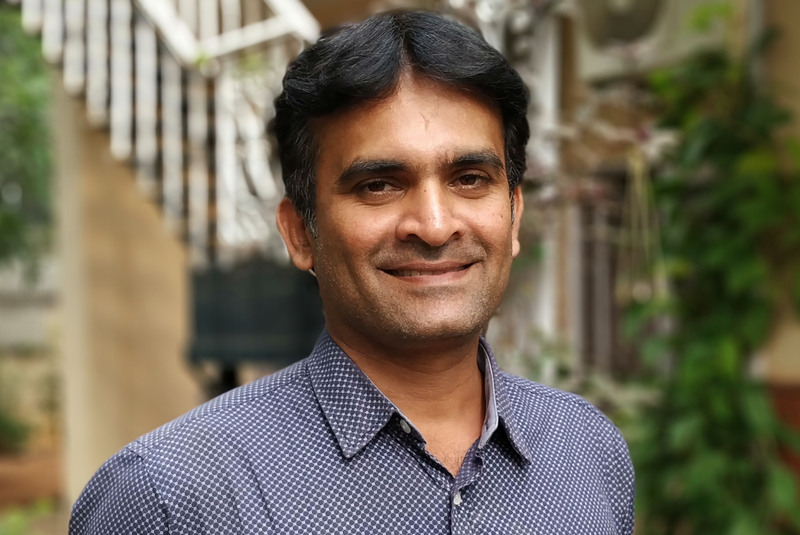 He has recently completed consultancy assignments for IWMI, International Water Management Institute, Colombo, STEPS Center, University of Suusex, U.K. and SaciWATERs, South Asian Consortium for Inter-Disciplinary Water Resources Studies, Secunderabad, India. 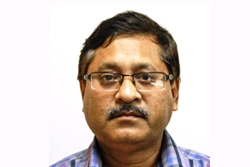 Dr. Poulomi Banerjee holds a PhD in watershed management from Jawaharlal Nehru University, New Delhi. 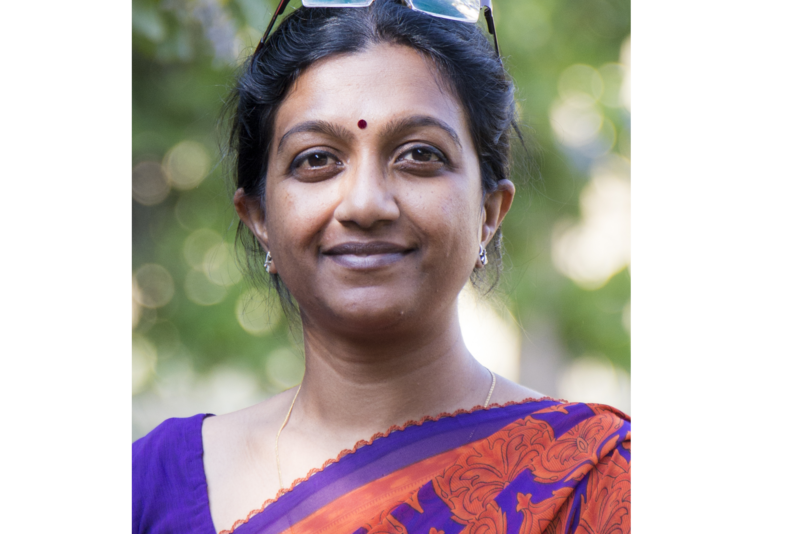 Prior to joining SaciWATERs she was working as a researcher in Water Resource and Policy Division (WRPM) of The Energy and Resources Institute (TERI), New Delhi. She has been working in the field of water supply and sanitation, natural resource management, climate change, agriculture, governance and policy issues for the past seven years. She has proficiency in handling both research and implementation related projects and is associated with various national forums and societies. She looks into the peri urban and the study of disappearing lakes projects as a Senior Fellow in SaciWATERs.